Two Fort McMurray, Alta., firefighters say the wildfire evacuation on May 3 came too late, putting lives at greater risk. 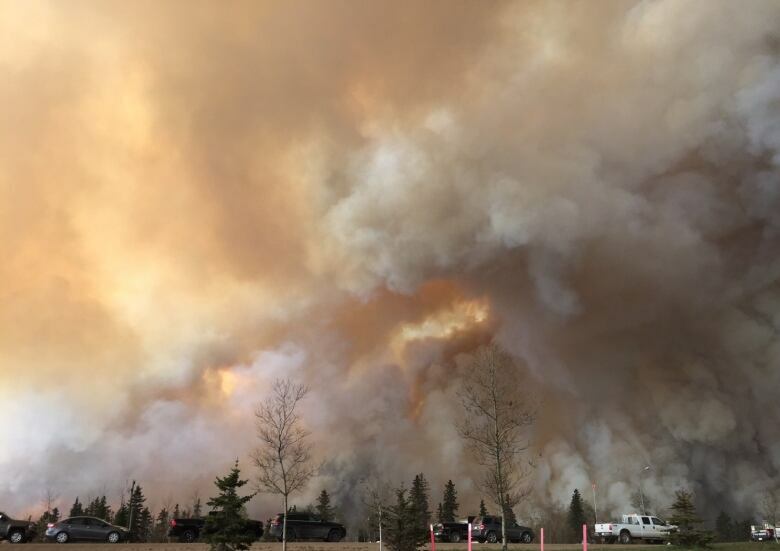 The evacuation of Fort McMurray came too late and put lives at greater risk, say two firefighters working the day the wildfire breached the northern Alberta city. 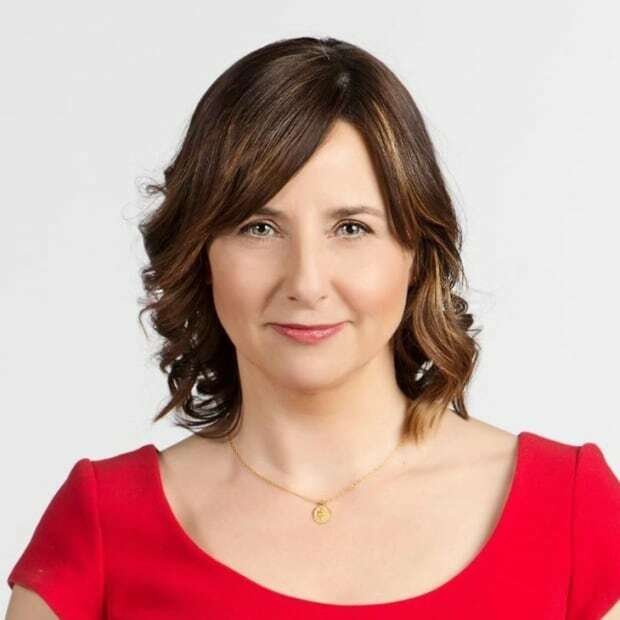 CBC News has agreed not to reveal the firefighters' identities to protect their jobs. On May 3, the day the fire forced the city to evacuate, 37 firefighters were on shift. Over the afternoon, 115 more were called in for support. "I think it put all the lives of the first responders at risk as well as the lives of the people in the city," said Firefighter #2. "People should have been notified much earlier." A day earlier, the fire loomed 1.2 kilometres west of the city. But by May 3, it doubled to 2,600 hectares. By mid-morning May 3, the wildfire had jumped the Athabasca River, racing toward the northwest part of the city. At an 11 a.m. news conference, Fort McMurray fire Chief Darby Allen warned residents to be vigilant: "We're in for a rough day. It will wake up, and come back." At 2 p.m., the Municipality of Wood Buffalo issued a mandatory evacuation order for Beacon Hill, Abasand and Grayling Terrace, but the order would soon cover the entire city. But Firefighter #1 said the order should have come sooner. 'It was a terrible decision," said Firefighter #1, adding homes were on fire as residents left, while crews were not given any warning to ensure their own families got out safely. An evacuation call that morning "would have made a huge difference in congestion and panic and people getting out of here," said Firefighter #1. The images and anecdotes are now familiar: vehicles fleeing through the flames, clogged roads, parents speeding towards fire-engulfed neighbourhoods to rescue children, families separated, many forced to leave behind pets and vehicles. Among the tens of thousands forced to leave that day, two teens died in a fiery crash on Highway 881 when their SUV collided with a tractor-trailer. In an email to CBC News, Allen, who ran the regional emergency operations centre (REOC), defended the timeline of the evacuation. "We could only base our decisions on the information available," he wrote. "The decisions to evacuate specific areas were made as rapidly as possible based on the changing conditions." Allen said that by the next day close, to 88,000 people had been forced from the city "without a single direct casualty," while 85 per cent of the structures had been saved. "In an unprecedented situation, our first responders did their job, and we will always be thankful for their bravery on the ground," he added. But Firefighter #2 said "they had to know that it was going to happen." The worker pointed to that Tuesday's ominous forecast, ideal for flames to hop from treetop to treetop as winds shifted, temperatures rose and the smoke plume grew. Firefighter #2 said the death of the teens could be considered "a direct result" of circumstances since they would not have left otherwise. And if it were not for the work of first responders, "a lot of people could have lost their lives." 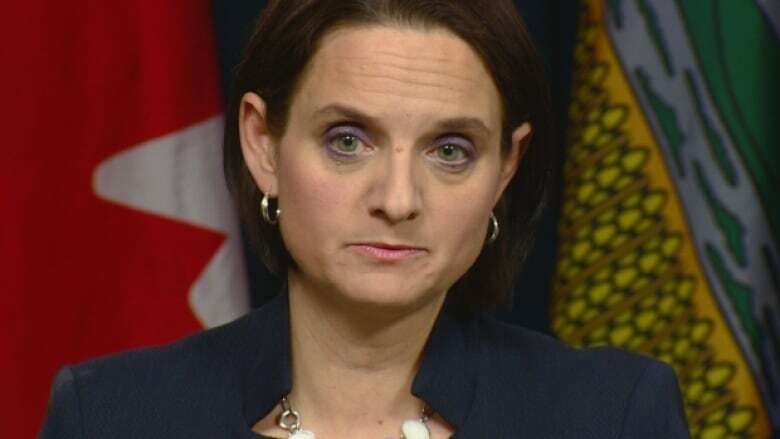 On Friday, Alberta Municipal Affairs Minister Danielle Larivee expressed regret the evacuation didn't come sooner and confirmed it would be the focus of a provincial review. Allen welcomed the opportunity to improve emergency readiness. The review is also being welcomed by the firefighters, who hope raising concerns will ensure the right questions are asked, provide an opportunity to learn, improve public safety and hold decision makers accountable. But their criticism doesn't end there. While praising the work of fellow first responders, the firefighters said "big picture" information from REOC was sorely lacking during those first critical days. "It gives us an idea of where it's coming, where it's going to land in the city, so we can be prepared to put up that fight," Firefighter #2 explained. "Or if it comes to a point where we have to actually abandon, that gives us that knowledge and that understanding of what we have to do." But with little information, both said they were under the false impression the wildfire had destroyed large swaths of the city, which could be demoralizing. On top of that, they ate granola bars, pepperoni sticks and cookies until meals were finally provided on the third day. "To me what their job is, is to get us information and resources," said Firefighter #1. "All in all, I think it was a big fail on their part." Allen said the emergency management team used aerial and ground observation to survey the fire, track its movement and communicate with teams on the ground that could be directly impacted. "At no time did we lose lines of communication and multiple layers of redundancy were in place to protect against such a breakdown," said Allen, who added preventing the injury of first responders was top priority. The firefighters also blasted those in charge for leaving the city altogether. Midday Wednesday, REOC relocated from the Fort McMurray airport to Anzac, then headed further south to Lac La Biche. "This is the biggest thing that will ever happen in our careers and our so-called leadership left us," said Firefighter #1. "It was cowardly," said Firefighter #2, questioning why the team didn't relocate to Macdonald Island Park where first responders remained throughout. The firefighters were quick to point out that assistant deputy chief of operations Jody Butz remained in the city, along with assistant deputy chief of dispatch Kelly Roberts and assistant deputy chief Dana Allen. 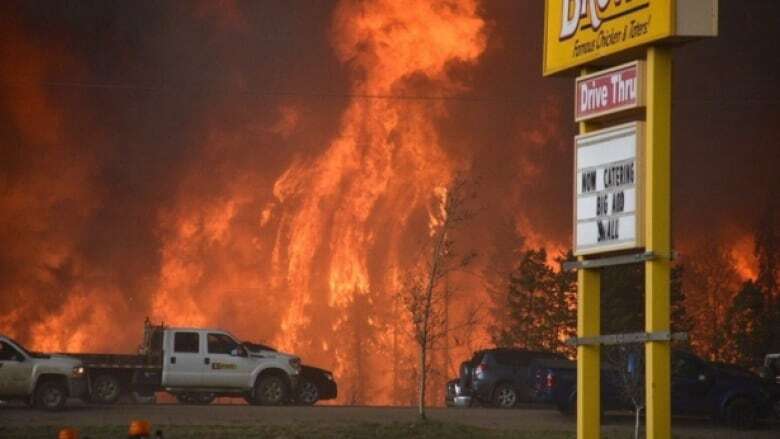 "Support personnel without a direct role in firefighting were evacuated to the Nexen Long Lake facility, then to Lac La Biche, before returning to REOC less than twelve hours later," Darby Allen said. "It was imperative to keep the REOC team together, maintaining the lines of communication in the face of wildfire that was quickly encroaching on their location." Allen said if at any time the position at Macdonald Island could not have been held, first responders would have been relocated, "but it was felt that their location was defensible, and that decision proved to be correct."